How Do I Rebuild a DeWalt DC9096 Battery? The DeWalt DC9096 battery pack is an 18-volt unit consisting of 15 cells wired in series. The cells may be nickel metal hydride (NiMH) or nickel cadmium (NiCd) 1.2-volt cells. 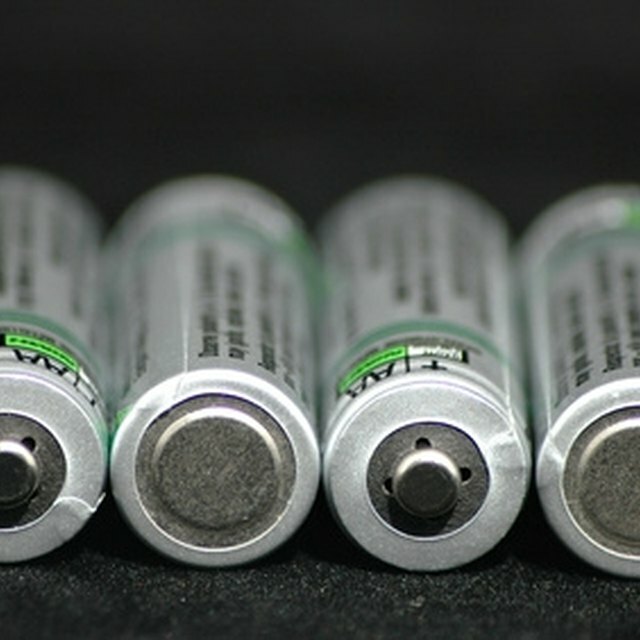 As with most rechargeable batteries, there is a finite number of times it can be charged and discharged. Eventually you find the battery goes dead quickly after getting charged. If this happens, don't dispose of your DeWalt DC9096 battery; rebuild it. Replacing NiMH or NiCd cells is less expensive than buying a new battery pack. Rebuild your battery pack rather than dispose of it. Remove the six screws on the underside of the DeWalt DC 9096 battery pack so you can remove the cover. Use a suitably sized Torx screwdriver. If you don't have a Torx set, remove the screws using a Phillips screwdriver. Lift off the DC9096 battery cover. You will find 15 cells wired in series and connected by metal strips. Take a photograph of the layout so you can see how the cells are positioned. If you don't have a camera, draw a diagram. It's important you put the replacement cells in the correct order. Heat a soldering iron to operating temperature. Melt the solder under the metal strips so you can remove the cells. Place the tip of the soldering iron onto a metal plate just above where a cell is connected. Let the heat transfer through. As the solder melts, remove the soldering iron and quickly use a small pair of long-nose pliers to gently lift up the metal plate before the solder sets again. Repeat the process on all the cells until the metal strips are removed. Turn off the soldering iron. Remove the 15 cells from the DC9096 battery compartment. Check the side of one of the cells to determine if it's a NiMH or NiCd cell. Purchase 15 replacement cells from an electrical store. Take an old cell to the store so you get an exact replacement, as they do vary in size. Refer to your photograph or drawing. Place the cells into the DC9096 battery compartment the same way as the photo or drawing. Heat a soldering iron. Touch the cell terminal using the tip of the soldering iron and then introduce the solder. Remove the soldering iron as soon as the solder melts on the terminal. Allow to cool and harden. Repeat for all the terminals. Replace the metal strips on the terminals. Refer to your photo or diagram so you place them in the correct order. Put the end of the soldering on top of the metal plate above a cell terminal. Allow the solder on the terminal to melt, then remove the soldering iron. Repeat the process until all the terminals are soldered to the metal plates. Turn off the soldering iron and allow the cells and plates to cool completely. Replace the DC9096 battery cover. Put the screw in the holes and tighten them. Put your rebuilt DeWalt DC90996 battery on charge for about an hour. Then it's ready to use.